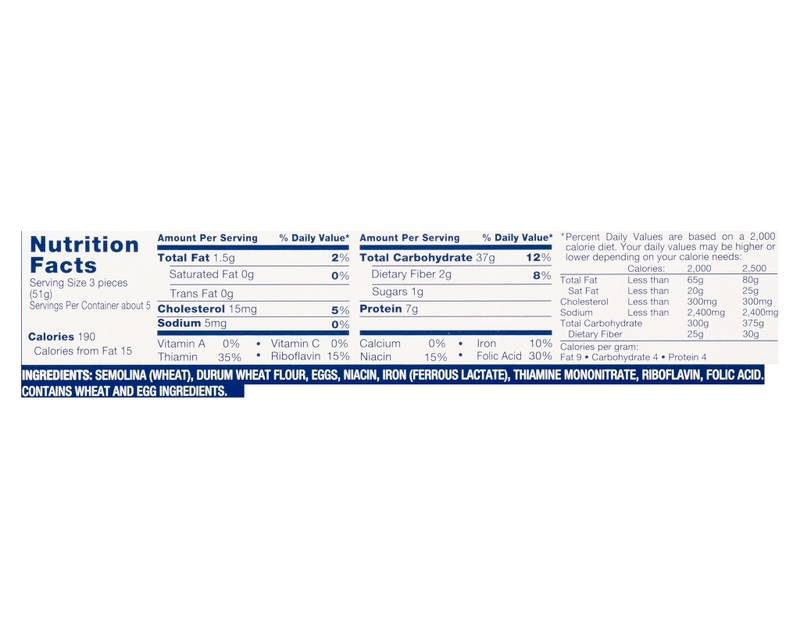 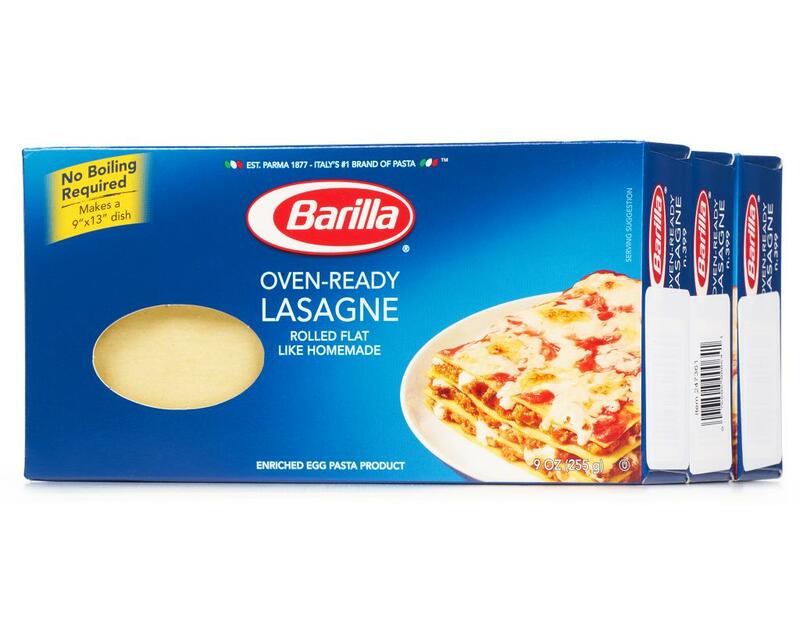 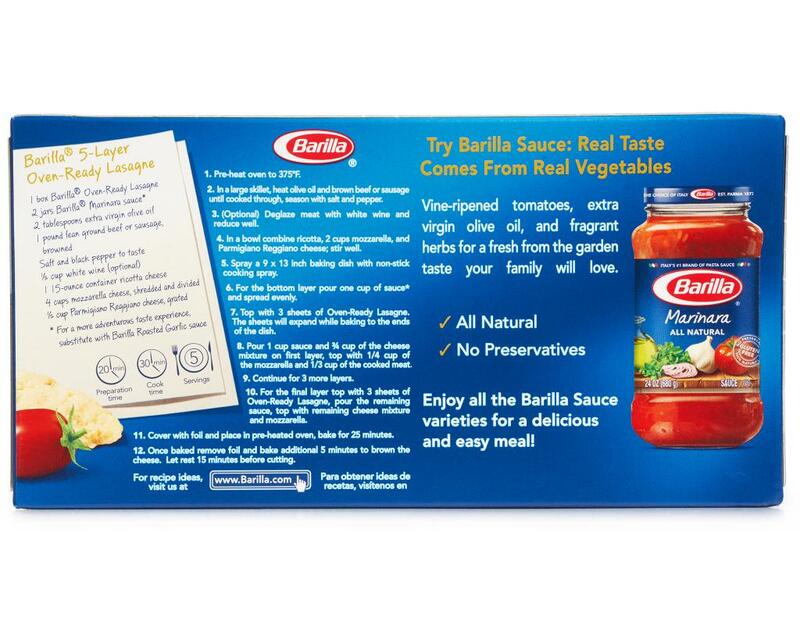 No boiling is needed for Barilla's Oven Ready Lasagna. 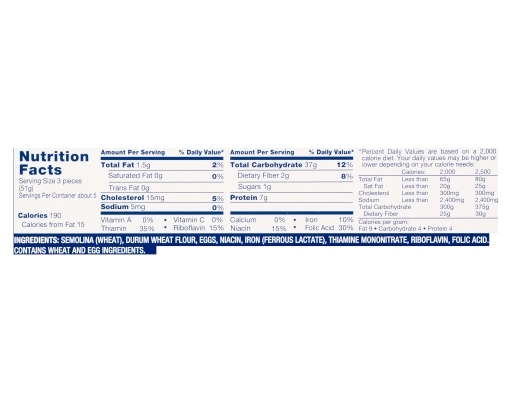 This American favorite is great with your favorite lasagna dish. 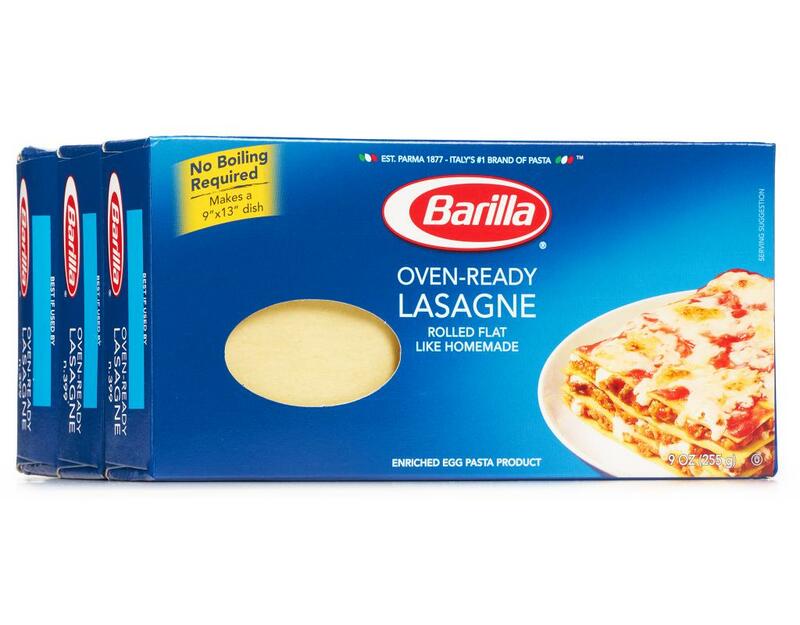 The wide flat sheets of Lasagne pasta originally made by the Romans were called lasagne. 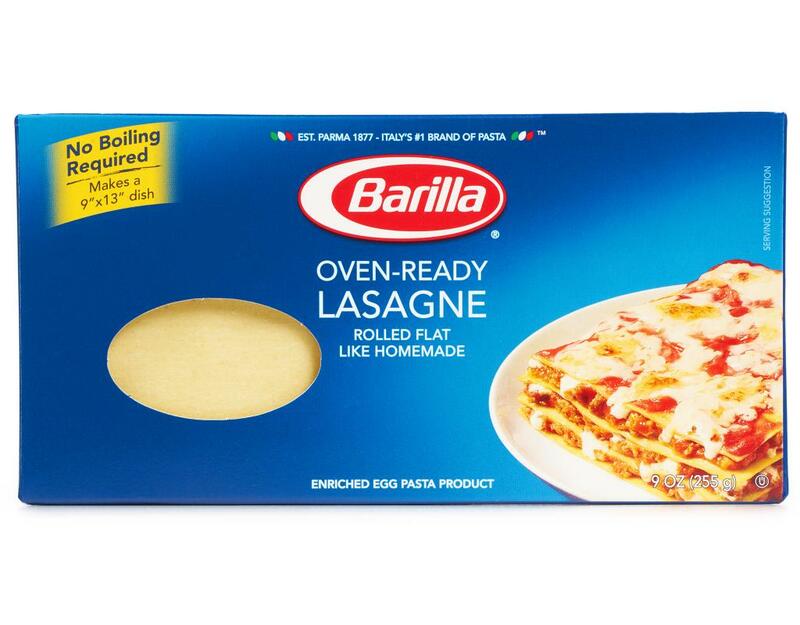 Lasagne later came to refer to a dish cooked in a pot using long flat pasta sheets, layered with minced meat, cheese, and tomatoes. 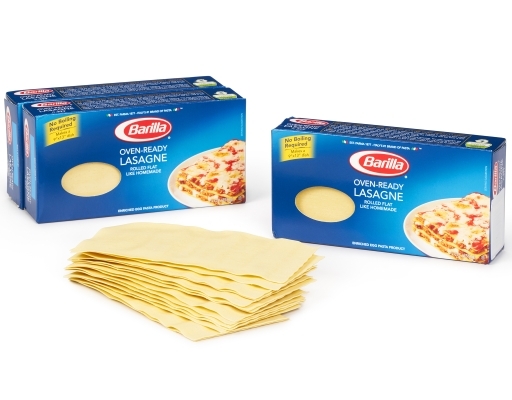 Lasagne originated in the Emilia-Romagna region of North Central Italy where authentic egg pasta was born. Lasagne, the most well-known pasta al forno, varies from region to region. Tuscans and Emilia-Romagnans make it with a béchamel, a meat ragu, and grated Parmigiano. Ligurians make it with pesto. 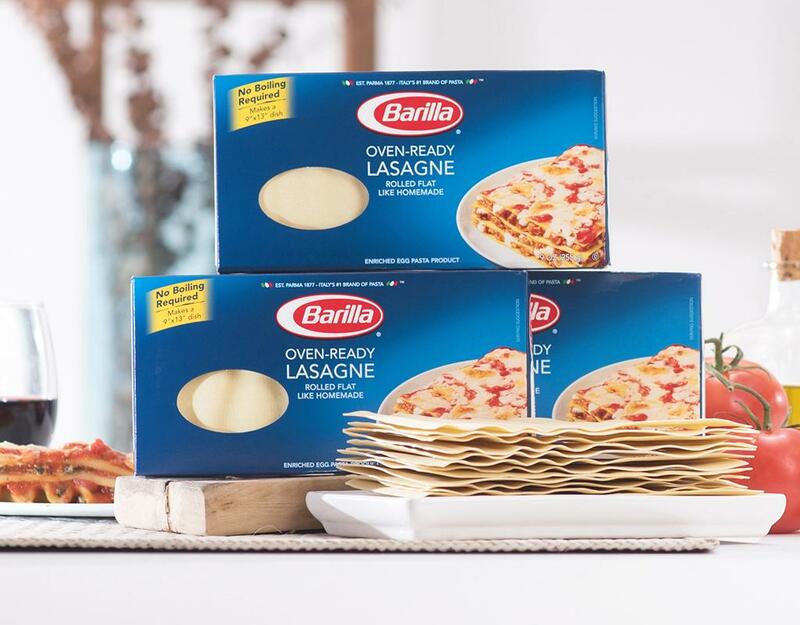 Try Oven-Ready Lasagne with meat-based sauces like traditional Bolognese, dairy-based sauces like a classic béchamel, and vegetable-based sauces.